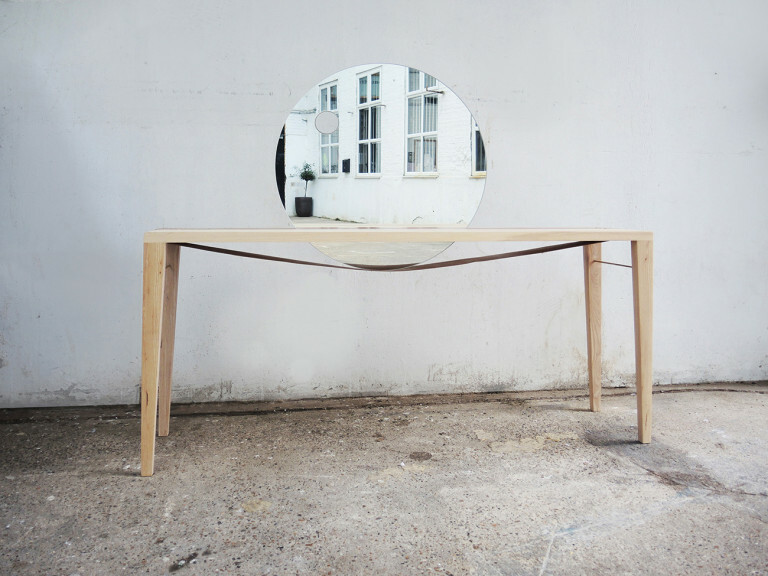 The mirror of the dressing table can be rolled effortlessly from side along the table top. 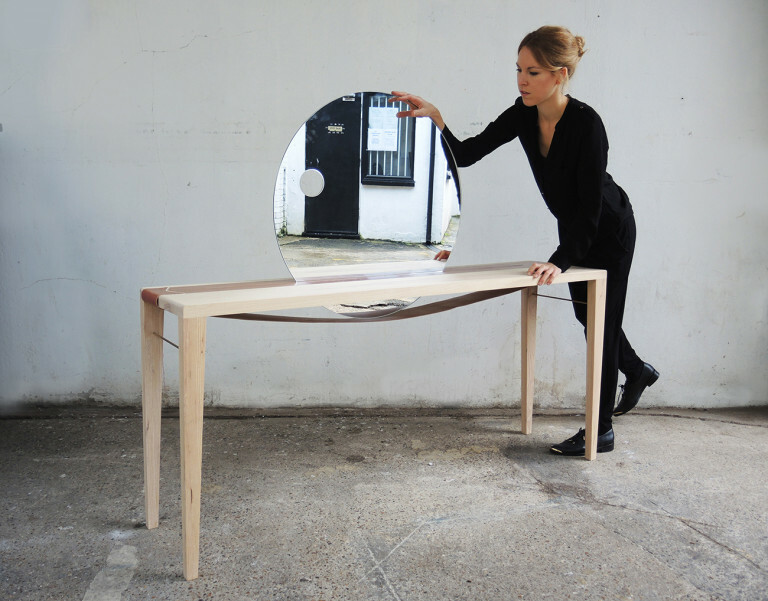 With one move the table transforms when the mirror is pulled out to hang on the wall. 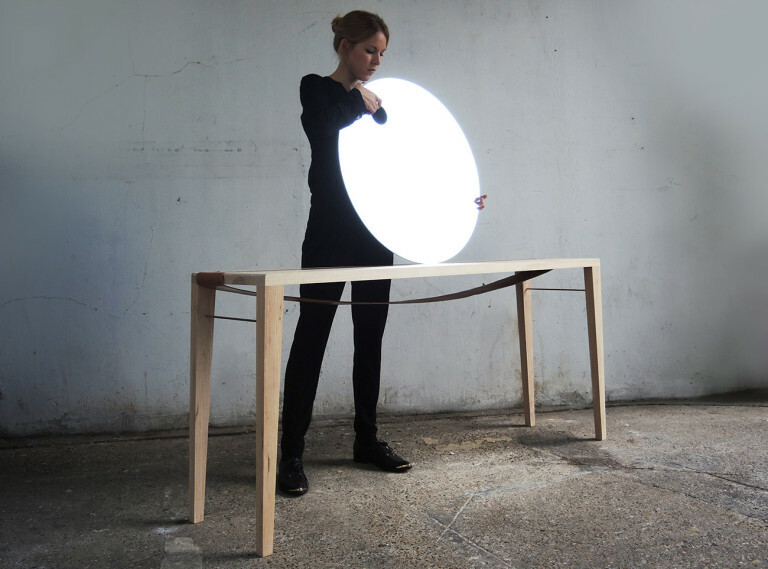 A circular cut out in the mirror is designed for carrying and easy hanging. 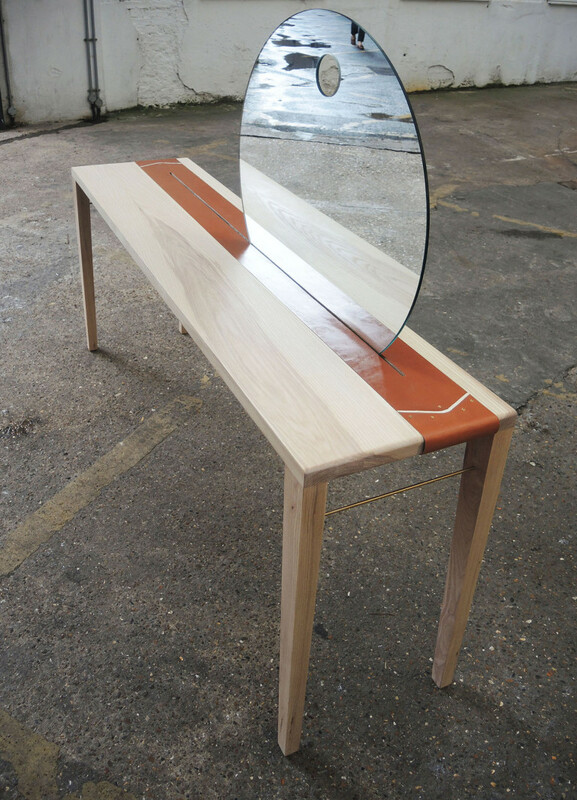 The leather strap adds to the luxurious feel of the furniture. 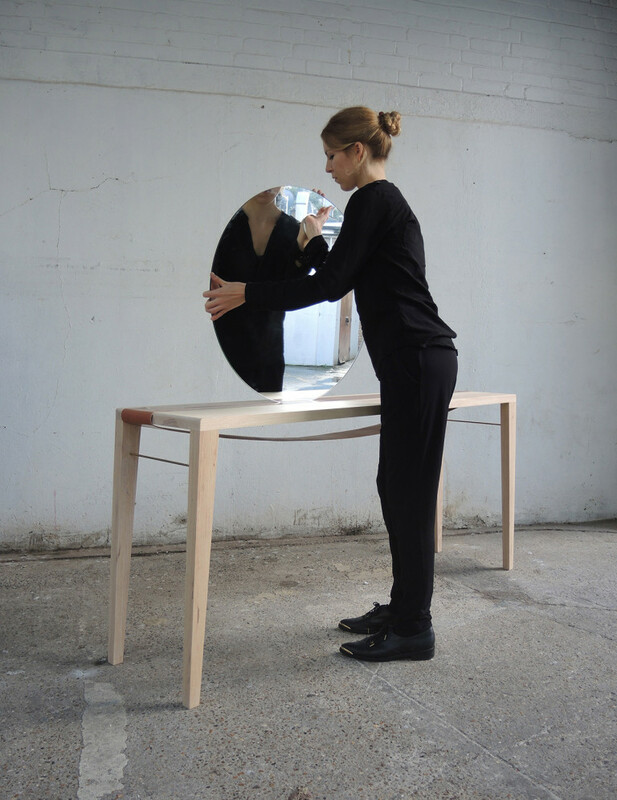 Once wrapped round the edges of the table the belt transforms to a functional strap supporting the seemingly floating mirror from underneath. 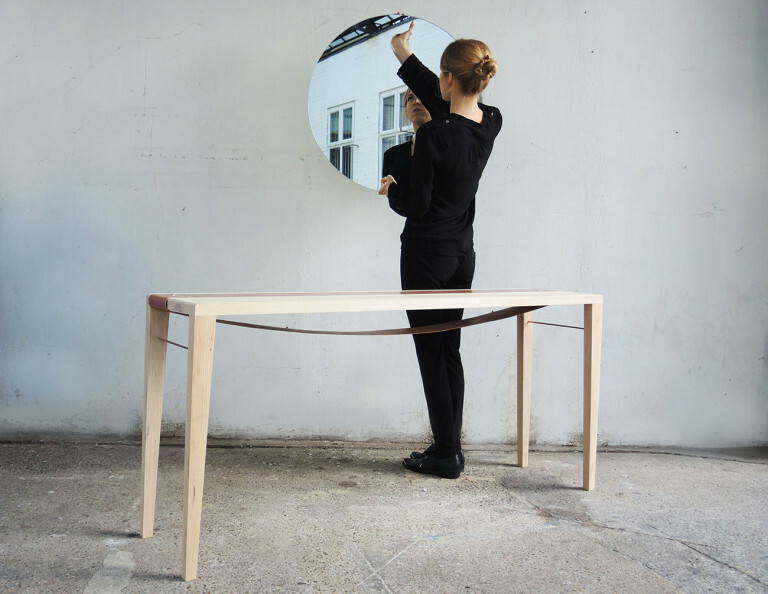 The intersecting geometric elements enhance the minimalistic appearance of the dressing table. 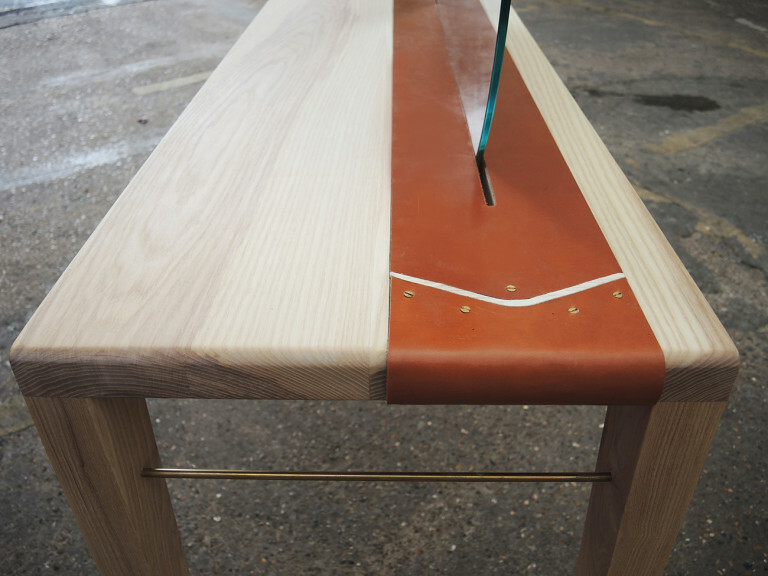 It is the finely crafted details where the leather is carefully embedded into the table that transform a clean lined table into a refined piece of craftsmanship.